Official description with spoilers for the Supernatural Season 12 premiere, "Keep Calm and Carry On"
The CW has released an official description for “Keep Calm and Carry On,” the October 13 season premiere for Supernatural Season 12. This one is pretty short and doesn’t reveal much, but it’s something, right? 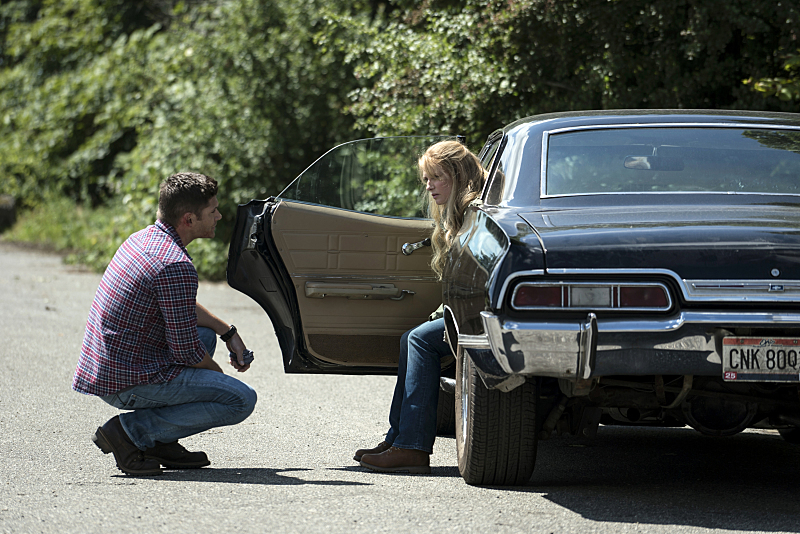 MAMA WINCHESTER IS BACK — Dean (Jensen Ackles) is overwhelmed as he comes face to face with his mom, Mary Winchester (guest star Samantha Smith). Meanwhile, Sam (Jared Padalecki) is fighting for his life after Toni, from the Woman of Letters, shot him. Phil Sgriccia directed the episode written by Andrew Dabb (#1201). Original airdate 10/13/2016. You can see some photos below. Find more Supernatural Season 12 coverage here at KSiteTV!